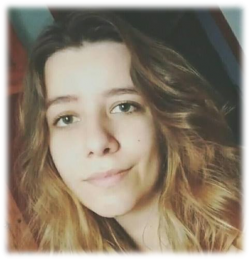 Ana Caroline Vasconcelos Oliveira is a student in Biological Sciences from the Federal University of Lavras (UFLA). 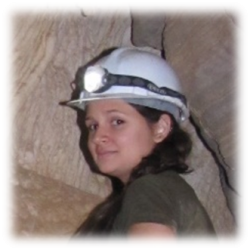 She developed in her Scientific Initiation works regarding taxonomy and description of new species of the genus Charinus (Amblypygi) from Brazilian caves. Júlio César do Carmo Vaz Santos is undergraduates Biological Sciences from the Federal University of Lavras (UFLA). Develop your research project with composition, distribution and taxonomy Auchenorrhinca associated with caves of Brazil. Marina Izabel Grave Ferreira is a graduate in Biological Sciences from the Federal University of Lavras (UFLA). Scientific Initiation develops in his work with taxonomy and description of a new species of cockroach troglobite of Minas Gerais, as well as diversity and distribution of the genus Zelurus barbers in caves of Brazil. Gilson Argolo is an undergraduate student in Biological Sciences from the Federal University of Lavras. His is currently working with taxonomy and description of species of Opiliones from caves. 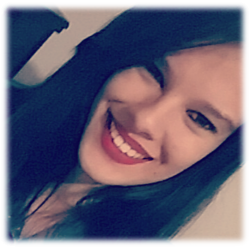 Ana Caroline Silveira Arantes is an undergraduate student in Biological Sciences from the Federal University of Lavras (UFLA). 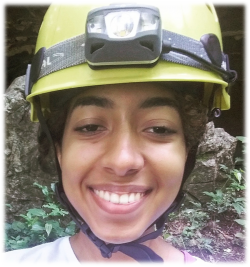 Her project regards cave fish behavior in the Loca D'Água cave in the municipality of Pains-MG.
Ana Clara Moreira Viana is an undergraduate student in Biological Sciences from the Federal University of Lavras (UFLA). She is currently working with taxonomy of pseudoscorpions (especially from the genus Spelaeobochica). Bárbara Goulart Costa is an undergraduate student in Biological Sciences from the Federal University of Lavras. 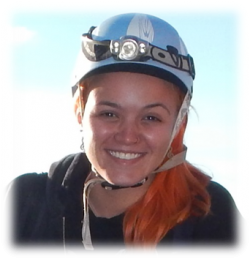 She is currently developing her project on the structure of the bat community of Serra de São José (Tiradentes, MG).